Learning to read is as simple as 1,2,3. Literally! Well, no actually not literally. I suppose it is more like counting up to seven, since there are seven areas of phonological awareness. And one of those seven areas is actually counting. Confused? Me too. Ahem – let me try this again. This guest post is from Sarah of How Wee Learn. She is a certified teacher, Reading Specialist, and one of the best authors in the Early Childhood world! 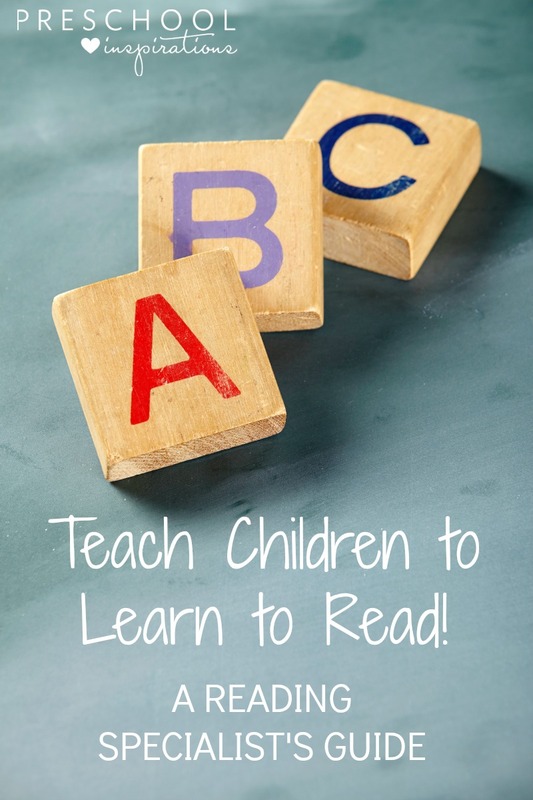 If you know a child who is ready to learn to read, you’ll love this incredible advice! We know that children need to learn more than letter sounds to learn to read. In fact, phonological awareness skills are an even better predictor of reading success than letter knowledge. Strong phonological awareness skills build strong readers. So let’s build the skills our little ones need while they are little, giving them the strongest of foundations to build upon when they are older. It’s as simple as 1, 2, 3, 4, 5, 6, 7! We have been working through the seven areas of phonological awareness over on my blog. This series is meant to compliment my eBook and Book, Beyond the Alphabet: Play into reading readiness. This is a way for us to play our way through that book together! Get the special Preschool Inspirations pricing by using the code “Inspirations” for $2 off. This week we are working on the phonological awareness skill known as word awareness. Word awareness is the ability to know where a word begins and ends. This sounds very simple, but like many things with the English language, it is surprisingly complex! For example, the word ‘may’ is one word and the word ‘maybe’ is also one word, while the words ‘may I’ are two. Tricky, tricky, tricky! This is a skill that comes with a lot of rich exposure to language. Reading to your little one, chatting with him as you are walking through the woods, describing experiences, and storytelling are all excellent ways to provide little ones with rich oral language. The more words little ones hear, the more knowledge they have to draw upon. Another way to practice this skill is having children do one movement per word as they play a game. 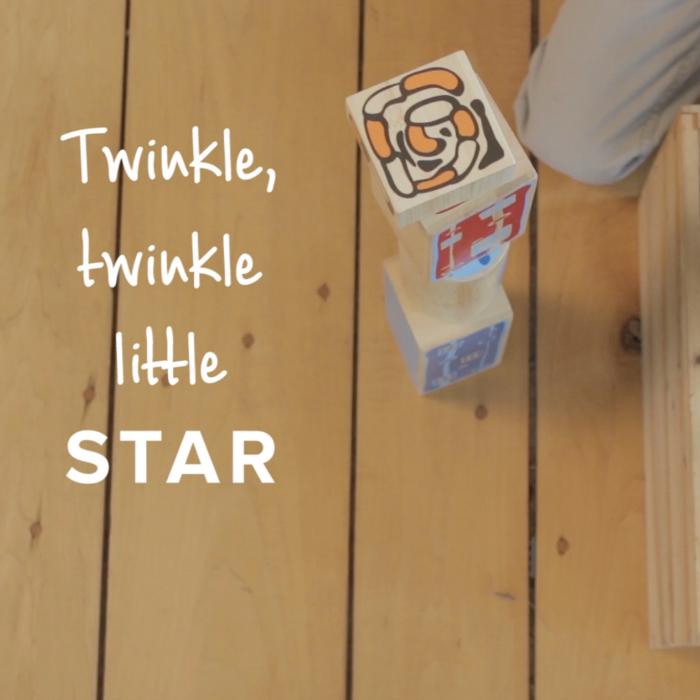 Adding in body movements is a great way to help little ones engage in learning. We like to use familiar songs as we practice this skill. We can take one step for each word in a song. Using songs that have a few words with multiple syllables is a great idea – like Row, Row, Row Your Boat for example. When we get to the word ‘merrily’, I really exaggerate the fact that this is just one word by stomping my foot down and holding my body back until the next word. It is silly, fun, and effective. Phonological awareness skills are so important for little ones to play with, as all literacy skills build upon this foundation. I like to make these skills lots of fun for little ones as it is really one of the first experiences of learning to read they have. And we want our little ones to know that reading is fun! Be sure to follow along with our weekly series as we work through my book together and get our little ones Beyond the Alphabet as we Play into Reading Readiness. And if you haven’t grabbed your eBook yet, please consider it – this book is a wonderful investment in your child’s education. Get the special Preschool Inspirations pricing by using the code “Inspirations” for $2 off.